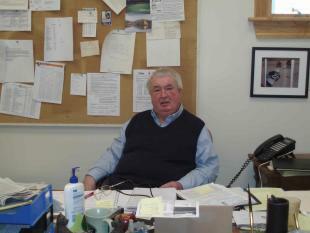 Berkshire County Realty Company, Inc. has been a successful Real Estate Firm for over 25 years. We have expertise in Residential, Commercial, Investment, Land, Condos and Development Projects. We recently purchased a commercial building at 338 South Street and expanded our staff to include a separate Development Company, called Black Pearl. We are not a huge franchised company, but instead have a handful of experienced, Full Time Realtors here to serve you. James S. McRory, Sr. Licensed in Massachusetts and New York. Jim has been in the Real Estate business for 31 years as a Broker, Investor and Developer. His expertise lies in the Commercial, Investment and Development aspects of the business. "I pride myself in the number of repeat customers we deal with because of our quality way of doing business with our customers."